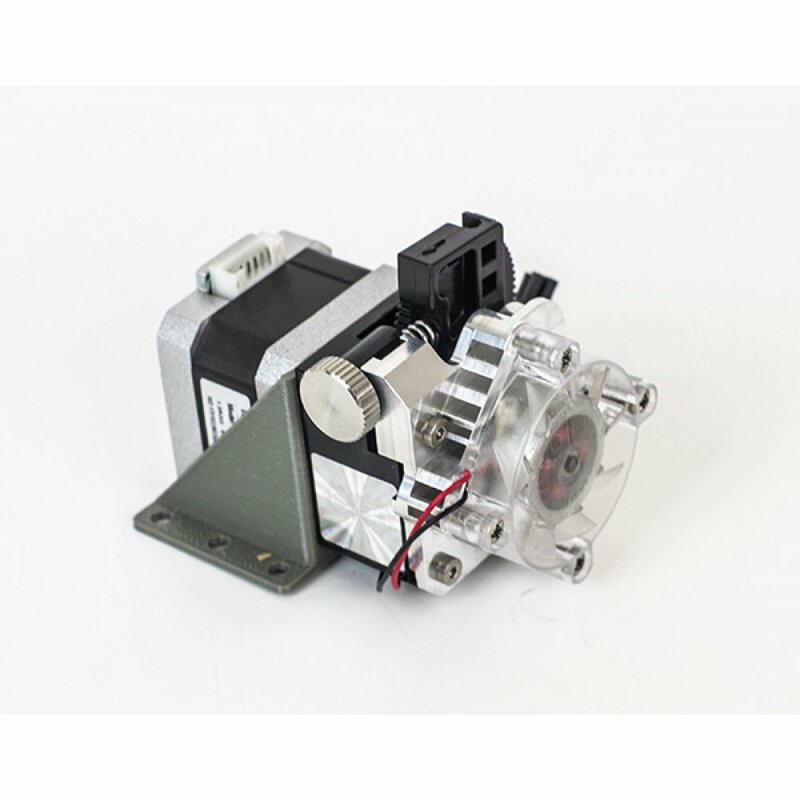 Produktinformationen "Titan Aero HotEnd and Extruder"
New Motor "Compact But Powerful Motor"
Weiterführende Links zu "Titan Aero HotEnd and Extruder"
Kundenbewertungen für "Titan Aero HotEnd and Extruder"
Durch den kleinen Weg zwischen Feeder und Melt Zone reicht 1mm Retraction für tropffreie Drucke - und in der Folge gibt es keine Jams mehr durch gestauchtes PLA oder PET. Durch die eingebaute Getriebestufe und den geringen Hobb Diameter hat der kompakte Motor absolut keine Probleme mit dem Vorschub. Eine Angabe zum zulässigen bzw. empfohlenen Motorstrom fehlt allerdings. Nachteilig ist, dass man einen (nicht enthaltenen) Abstandhalter benötigt - falls man also durch Defekt des alten Hot End dazu getrieben wurde, auf den Titan Aero umzusteigen, steht man mglw. vor einem Problem. Vorsicht mit den Schraubenköpfen! Der Innensechskant ist teilweise sehr weich (schnell rundgelutscht). Außerdem ist der Lüfter klar auf maximalen Volumenstrom (und damit auch maximale Lautstärke) ausgelegt. *Please note, the Titan Aero kit comes without a mounting bracket or spacer. You'll need a minimum of 2mm spacing between Titan and its motor. Either use a pre-existing spacer. Mounting Screws for 2mm mounting plate. Mounting Screws for 7mm mounting plate. Is Titan Aero available in Bowden? No. What’s the smallest motor I can use on Aero? Same as Titan - 21Ncm to remain reliable. Smaller pancake motors may work but the difference in performance is marginal. 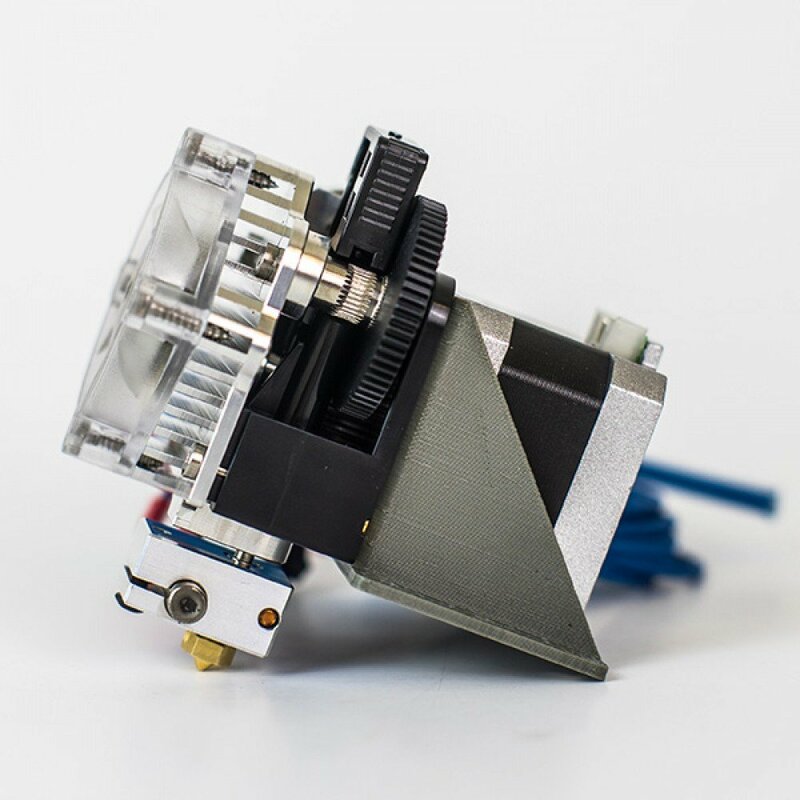 The Titan Aero upgrade kit and standard Titan Extruder cost less bought separately than the Aero Full Kit, what’s the big idea!? 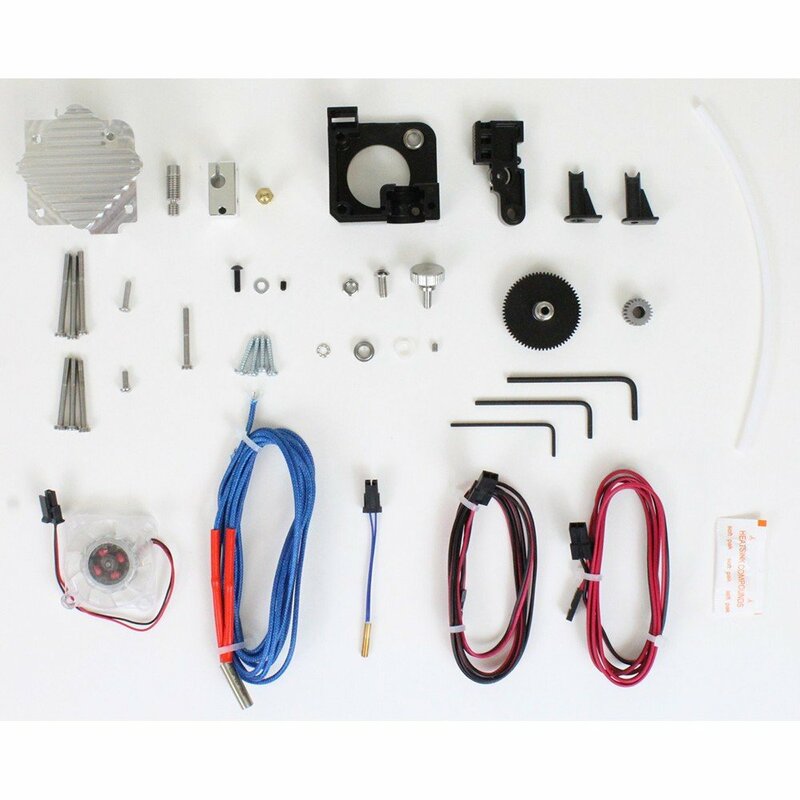 The upgrade kit is for people who already have a standard Titan AND a V6 HotEnd. 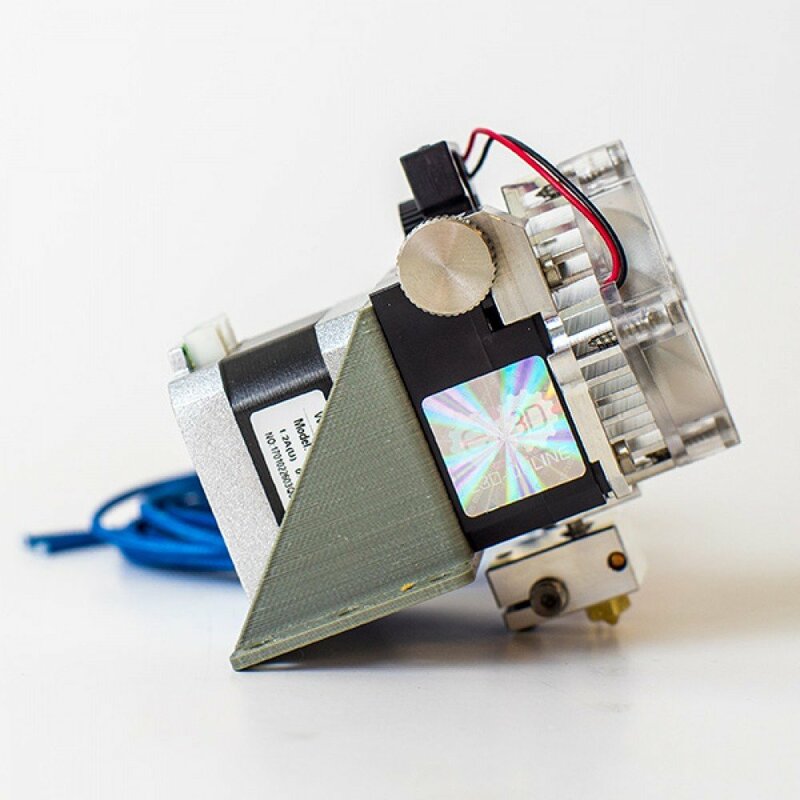 The full kit has a lot more stuff included, namely a heater block, heat break, nozzle, heater cartridge and sensor cartridge. I.e. everything you need to get started from scratch. How much lighter is Titan Aero than the Titan and V6? The difference in weight is negligible (within 5g). That said Aero is more compact, giving it some performance benefits. Alright if it doesn’t weigh less then how much does it weigh? Approximately 0.25kg. That’s about 9oz in Freedom Units. I’m not sure how to assemble all these bits! Worry not! A handy assembly guide is on our wiki. Follow the instructions carefully and all will be well! I have a spare bit of kit left over, where does it go? There are some differences in mounting needs across the variants of Titan Aero. For simplicity we have made one fixing kit for all versions, so you may have some bits left over. It says there is a mirrored version, does this just mean it’s extra shiny? Unfortunately not. 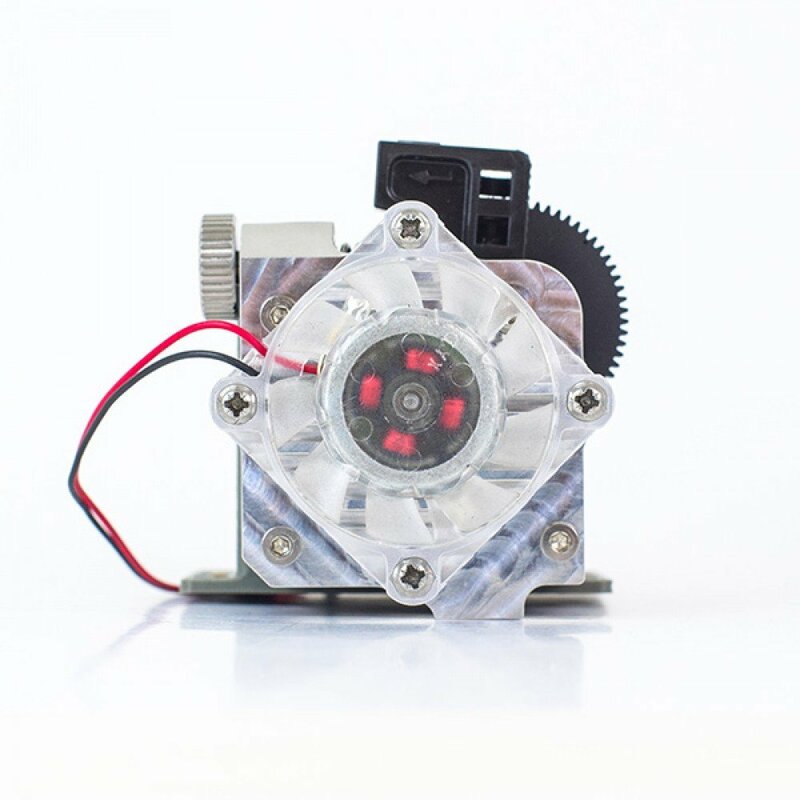 The mirrored version has the filament path offset to the opposite side to a standard version. This is mainly for the benefit of dual extrusion, more here. What’s that clicking noise? 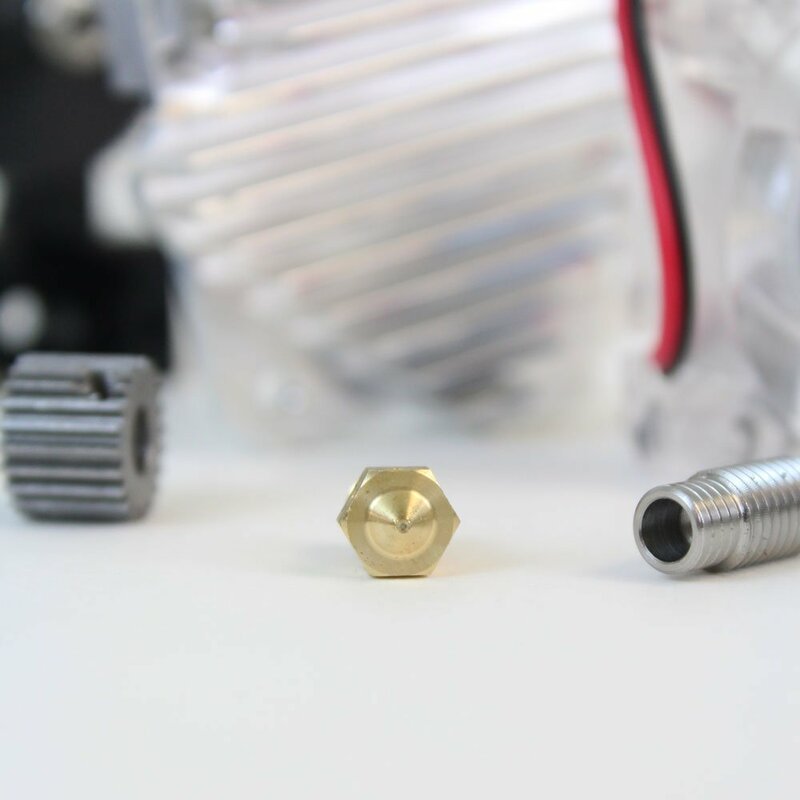 If you hear clicking during retraction, then in all likelhood your gears are not perfectly flush, causing them to slip a little during retraction. See this link for further explanation and how to fix. 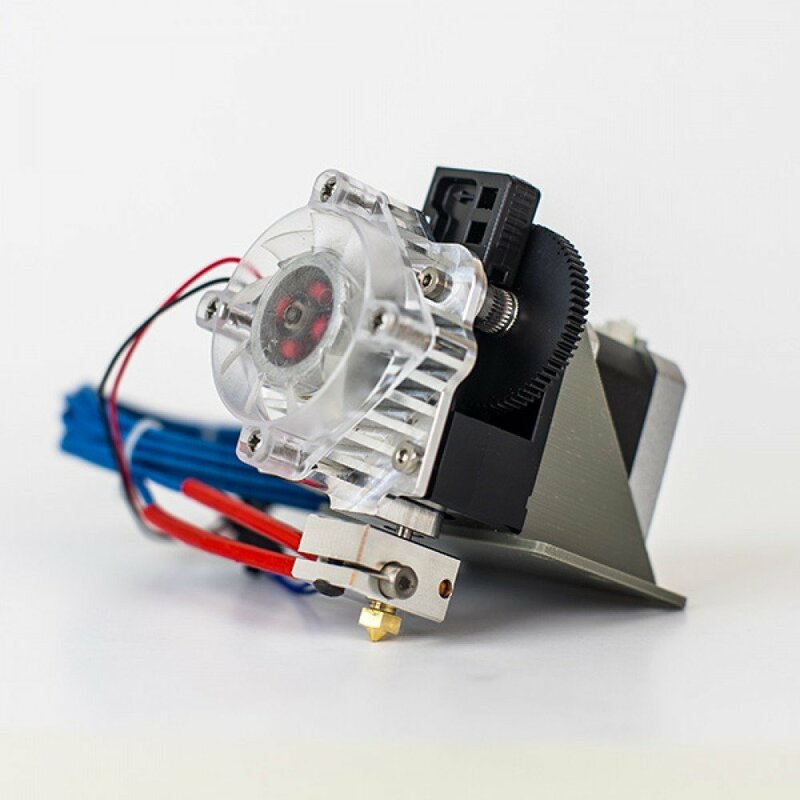 Is having a really hot HotEnd so close to the plastic body dangerous? It’s very unlikely to cause trouble. We have tested thermal runaway situations and parts have come out undamaged and fully functional. As always, however, we recommend that you do not leave your printer unattended during long prints. Do I have to design a mount from scratch and mess around with firmware to use the Titan Aero? It depends on what kind of printer you have! 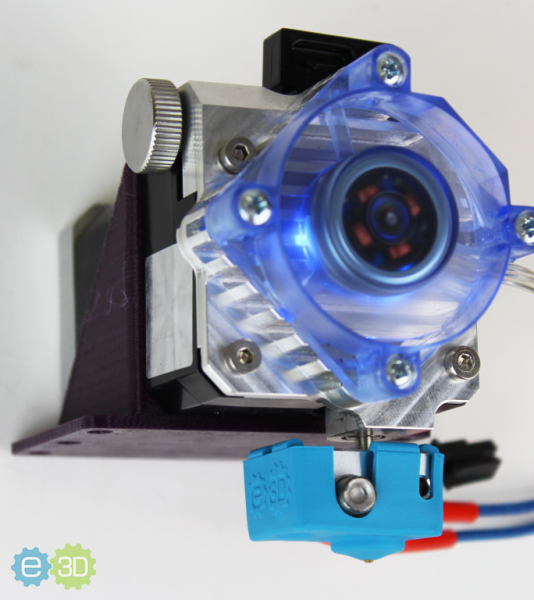 We have a list of select printers that we’ve design mounts and firmware for, which is getting bigger as we go. Click the link here to have a browse, you never know your printer may be there! If you do design a mount and firmware mod then please let us know and we’ll add it to the list!